So the books have been around for ages and there are so many of them, I have a lot but not all. I think they are great for young kids, they have action, simple to understand language and plenty of colour. There is also a tv series. It is quite fun to see these favourite characters come to life this way. 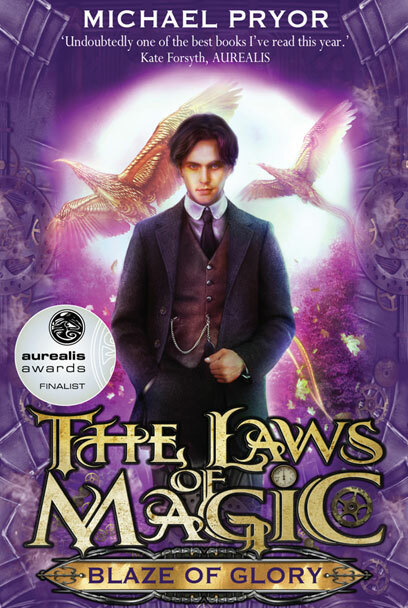 If you or your kids are a fan of the books then track these down (they are actually on tv in Australia at the moment), likewise if you or your kids are a fan of the show then definitely give the books a try. Bear Grylls – this man is recognisable throughout the world, he is skilled at what he does and now he has applied those skills to a series of books for middle grade kids. Beck Granger is a kid who knows how to survive anywhere, and I mean anywhere, he is a mini Bear. Here is the man himself introducing the Mission Survival series. With holidays upon us craft books can be a great idea. 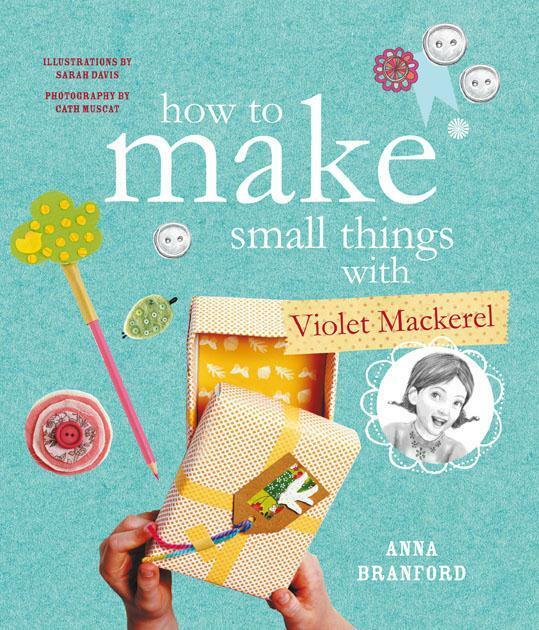 This one in particular is great for fans of Violet Mackerel. It embodies the spirit of Violet that comes from the stories, home made craft from found things. There are a wide variety of things to make to keep or give away as gifts. I love the Violet Mackerel books and am pleased that this craft book so echoes the sentiment in them, that its no all about what you can buy or get. There is plenty of room in these designs for each person to customise them in their own particular way. If you are looking for something to fill some time have a look at this book, it won’t require you to go out and buy things, so you can get crafty as soon as you want. Found things and recycling are great concepts when it comes to children’s craft. So here’s the thing, I don’t think I’ve really done a post like this before but I figure now is as good a time as any. It should be quite obvious to anyone that I am a book-a-holic. It’s not a secret, not even a little bit of one. I unashamedly love reading, books and well all things booky, though sometimes films from books make me a little crazy, in a bad way. Books though are no different from any other fandom. Those of us who love some authors can have fan girl or fan boy moments. 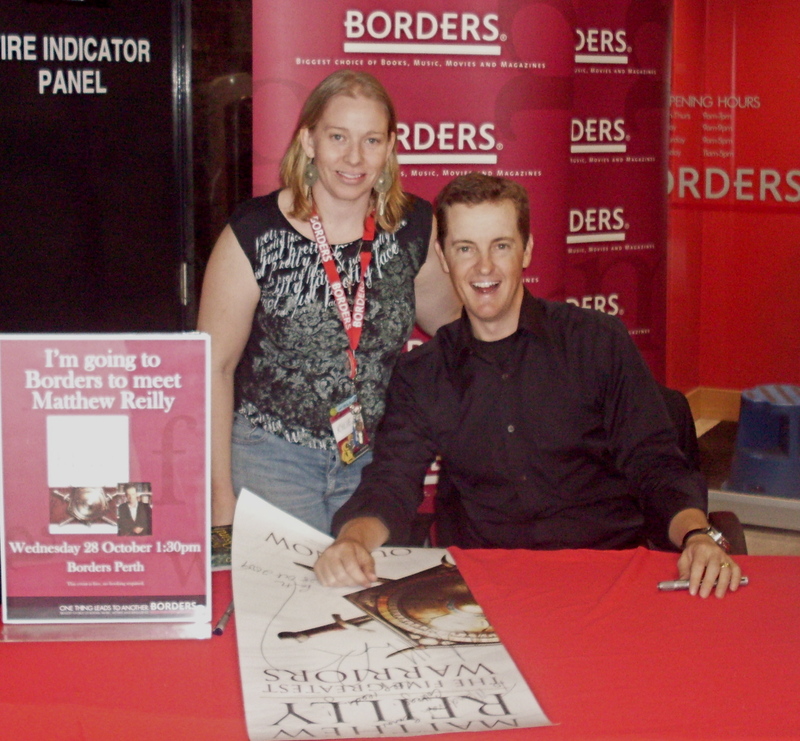 One of my first was when I worked my first Matthew Reilly book signing; I asked when I could get my book signed and was told just add my book to the pile for the store – my response ‘no you don’t understand I will be meeting him,’ and that’s how I ended up working my first signing. Since then I have worked a few. 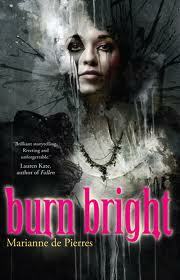 I have also been fortunate enough to network with some of my fave authors and as such have met some. Marianne de Pierres is truly lovely and such a generous lady with her time for fans and bloggers. 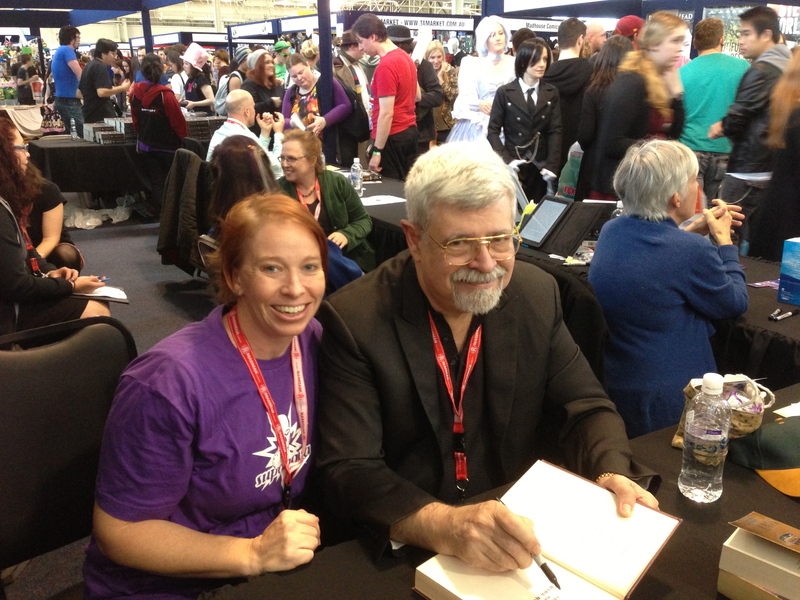 This year I met Raymond E Feist – whose book Magician I read when I was 11 or 12 and loved it so much I read bits of it by torchlight when I was supposed to be asleep. I also got to meet Michael Pryor, who is a wonderful and fascinating conversationalist. I loved every minute of my time with him, just talking writing, processes and what ever else took our fancy. I have also met Jay Kristoff, who writes the Lotus War books. I even stayed in the same hotel as Jay this weekend just gone, how spun out was I? A bit. The thing is though for me these things are as cool as meeting the movie and tv show stars I get to meet at SupaNova and similar cons. 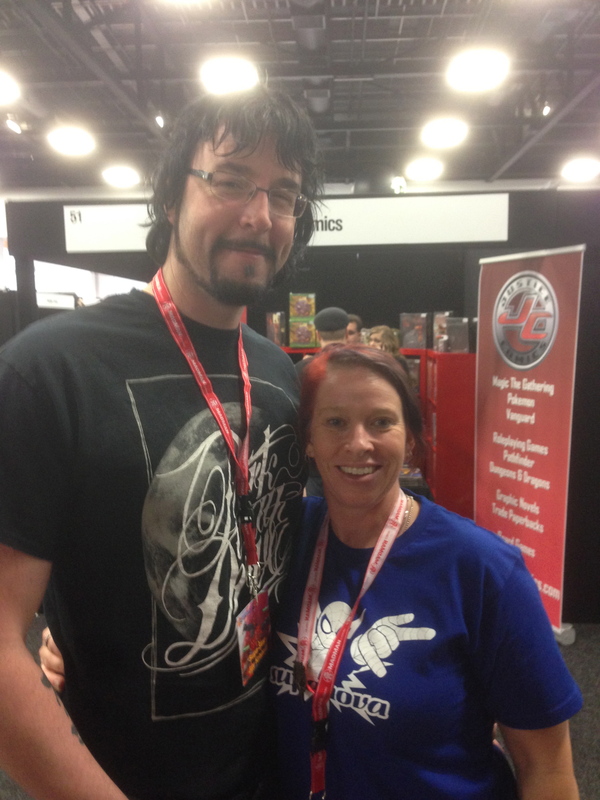 Fandom is an awesome thing and authors love to meet their fans and get positive feedback. You know I’ve gotten to witness some wonderful moments of fandom over the years and I don’t think fanboys and girls should ever be ashamed to put their hand up to acknowledge their fandom. Sadly I have seen some terrible things said in the name of fandom. There is never any time you should think a writer owes you, don’t ever tell them how to do their job. They don’t report to you. And for heavens sake if there was something you thought wasn’t great, you don’t need to lambast them for it. They make their writers choices, you make readers ones. I will say though, I love meeting writers and don’t begrudge the fact that they like to do things other than writing. This topic is a whole other thing really so I’ll leave it there. I prefer to focus on the positive. I love the places authors can take me to. I love to sink into their worlds and I love to meet them. Sure my ‘I love your work’, is unlikely to stand out amongst the others but each one counts. I think there is a Authors Appreciation Day, and if there isn’t there should be. Also, next year I will be going to an event just to meet one of my other all time favourite authors- the incredible Tamora Pierce, and man will I ever be a fan girl. I’ll be the one with a bag of books for her to sign and if she only signs one well that will be fine because I will have gotten to say ‘wow I love your stuff and recommend it to as many people as I can’. So if you haven’t already read anything written by these authors I’ve mentioned, do yourself a favour and do so. Okay so this post will be a little different. Not a book review or a link in to a film to be found. Not really. Sometimes things in life happen and though you may have a pile of unread books staring at you from over burdened bookshelves you really just need to sink into the embrace of a beloved old favourite. That is where I happen to be at the moment. 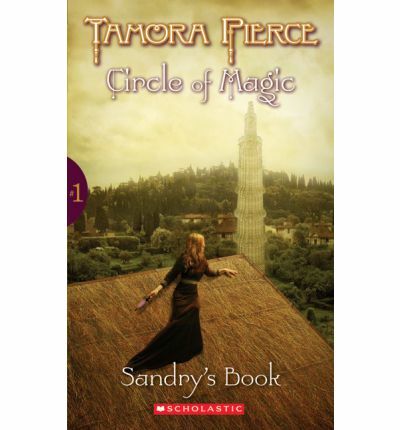 My daughter and I have just started reading Tamora Pierce’s Circle of Magic Quartet together and I found once I started I couldn’t put them down. So I’m sorting of reading them twice at once. Once with her and once at a much faster pace for myself. Sure I’ve read them before, more than once, but so what? I just love the stories of Sandry, Triss, Daja and Briar. I love to sink into the world created by Pierce. It’s like wrapping a favourite blanket around yourself or putting on your favourite pair of jeans. There are time when escape into the familiar is a very welcome option. I have several series’ that I love to reread, several authors whose books are in various states of imperfection due to the number of times they have been reread. If whoever I had lent my copy of First Test to had given it back that is probably where I would have started with my munchkin but I obviously need a new copy of that, which will take some time but that’s fine because I have plenty of other books I’m more than happy to revisit. Is there any author or book you love to revisit? So some things in life can play havoc with regular blog posts. Now while I’m not back back, I have rigged a way to do a couple of posts. 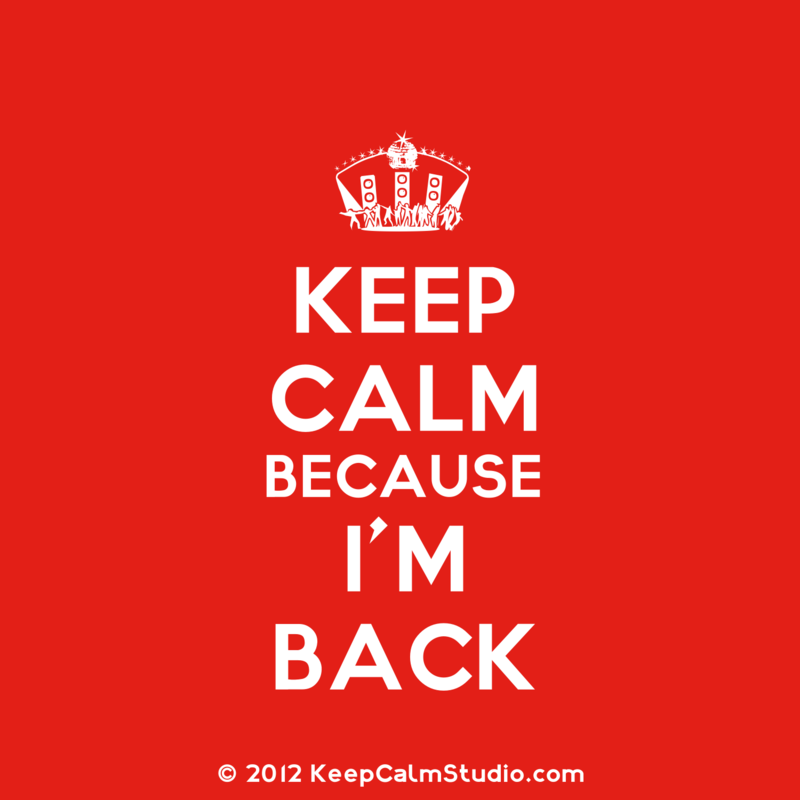 I hope to be back properly soon. Skulduggery is just so cool. I think these books would make great films. 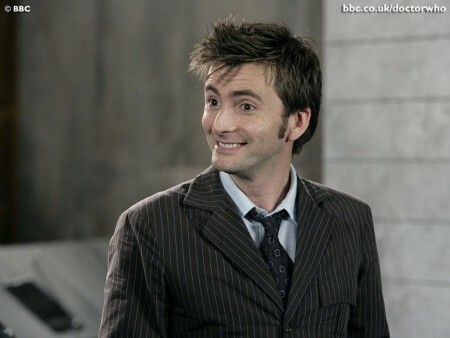 There are some really cool casting ideas out there, and some of them overlap, I saw a couple of picks for David Tennant as the man himself and I’ve got to say I think that could really work. Who do you think would be good?